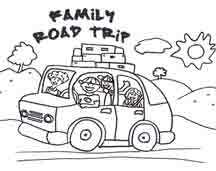 Going on a family road trip? With a little planning you will enjoy the ride. 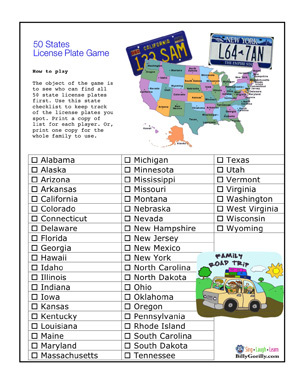 Click on image or link to download and print your free activity pages. 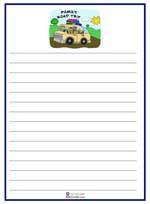 Put the printed pages in a folder or use a clipboard for easy access in the car. There are many free podcasts out on the web. You just need to look around. 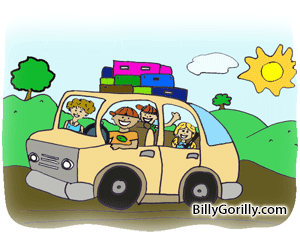 Billy Gorilly's Podcast for Kids is geared for young children PreK-Gr3. Each educational episode is 10 min. or less. Subscribe and download the podcast free on iTunes, or listen on our website. 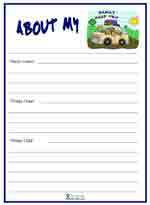 Download free activity pages for each episode. 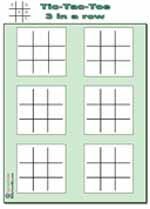 Visit our podcast archive page to get the link for each episode with printables. 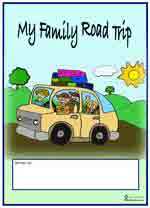 Use this custom stationery to write down your family road trip story for a memorable keepsake. 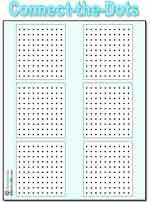 Print out as many sheets of stationery as you need. We even include a cover...Yay!